Suburi that does not anticipate competition is mere physical exercise. Suburi with a real situation in mind is the ultimate 1 person keiko. This is where suburi for exercise and suburi for real situations differ. In order to survive the harsh world of the tokuren (special police training squad) Arima Mitsuo, a veteran police officer, had made suburi a daily routine. He introduces the suburi he has put into practice with emphasis on the importance to strike in one go. Arima Mitsuo, born 1943 in Okayama prefecture, 74 years old. From Saidaiji High School to Osaka prefectural police officer. Became 2nd and 3rd in All Japan Championship Tournament 3 times. Won National Police Team Championship 9 times and Individual victory 1 time. 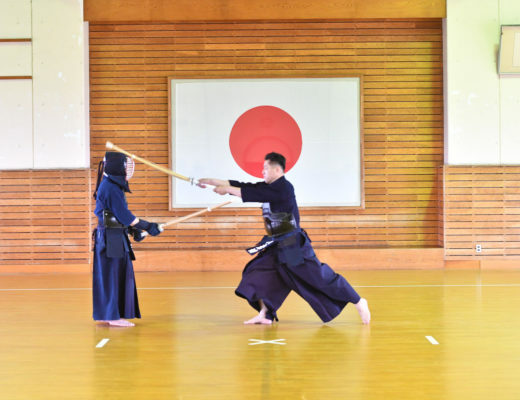 Meiji Village Kendo Championship 2 times, participated in All Japan East West Tournament. 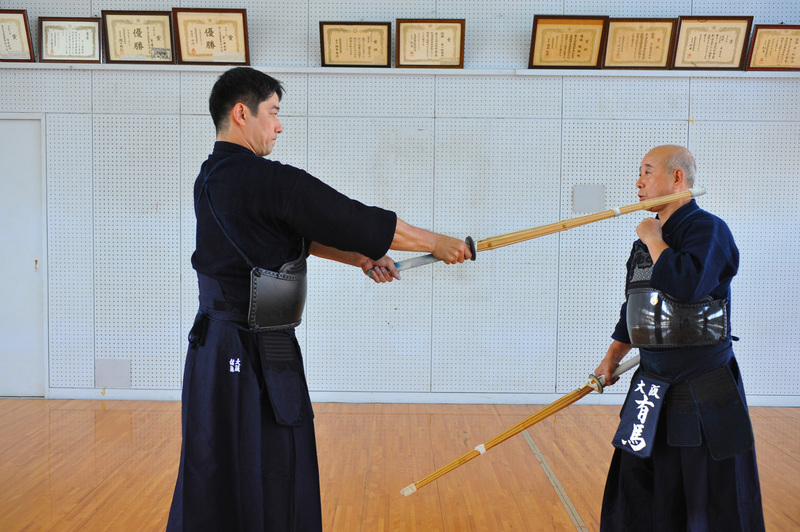 Currently, Osaka Prefecture Police Kendo Honorary Teacher and Toll Express Co. Instructor. Hanshi 8th dan. 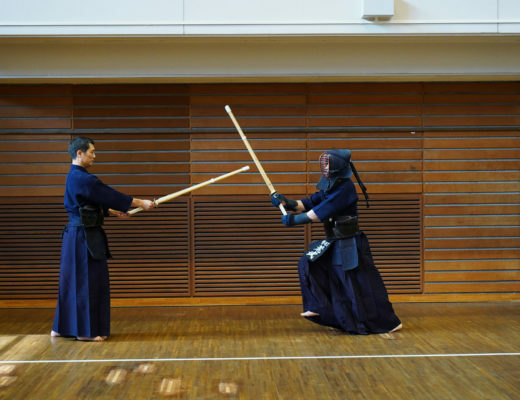 Anyone who has done kendo has done suburi, and I think everybody recognises the importance of it. Suburi can be done in spare time and without opponent, but in reality, isn’t it quite hard to actually spend time on it? Moreover, nowadays suburi tends to function as an exercise for warming up, but it is actually an important kind of keiko. Through suburi we master essential content of shinai handling and it is indispensable at a rudimentary level in particular. It is important to keep doing it without neglect even as you get more experienced. 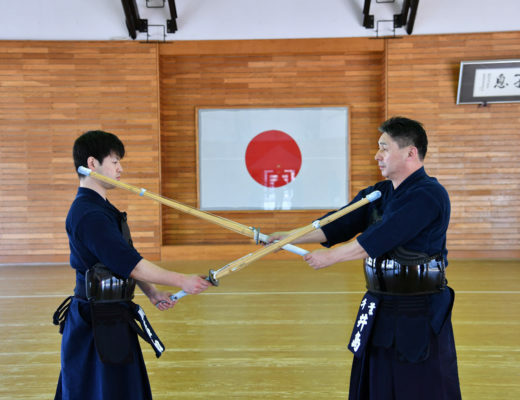 The goals of suburi include to master a unified way of shinai and body movement, learning the angles of strikes and tenouchi, as well as synchronising the hands and the feet. Furthermore, I recognise that suburi is something that adds crispness to technique and I have put it in practice as such. First of all, it is important to swing earnestly with forward intent. It is better to not only do men suburi, but also kote and do. I also practice men, kote and do in succession for suburi.